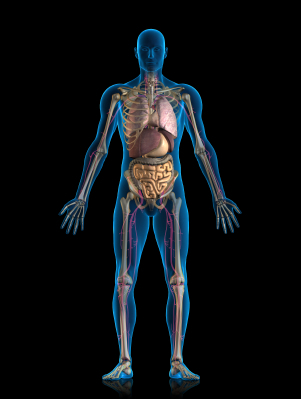 The human body is extremely complex. I believe that any comment or approach that implies otherwise is naïve and an insult to the Creator. I have been treating people for over 30 years and I think I’m less confident now in giving patients a prognosis than I was in the beginning. That’s because I’ve found that people are very unpredictable. We’re not machines produced on an assembly line. Each of us is a unique individual. What’s normal for one person may not be for another. There is a saying that goes something like this: if all you have is a hammer, then you see every issue as a nail. It’s that way in healthcare. If you’re a surgeon, you’re far more likely to recommend surgery. That can be motivated somewhat by greed, but in all fairness, it’s natural to look first for a solution that you typically work with. Someone who isn’t involved with surgery is more likely to consider it a last resort. As a chiropractor, I see many health problems as being related to nerve interference secondary to vertebral subluxations (spine out of alignment). Most of the time, I’m proven right, but I realize that’s usually not the complete picture. 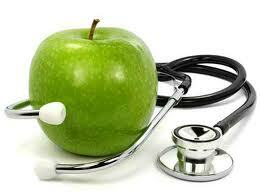 Health problems generally have many facets to them. There is frequently a temptation to oversimplify. We get one or two clues about a possible condition and suddenly we think we know all about it. Non-professional friends and relatives are quick to give you a diagnosis and give you a suggestion for how to manage it. Even professionals may do the same thing. Have you ever gone to the doctor with four different problems and walked out with four different prescriptions? That happened to me a few years ago. I was taught to look at the whole picture before offering a diagnosis, which is the basis of the prescribed treatment. So I wanted to see what my medical doctor would say about some issues that I was having at the time. So I gave him a list of my symptoms. Instead of looking at the bigger picture to see how the symptoms fit together so he could have a good understanding of what was going with me, he looked at each symptom separately and prescribed treatment for each one. When I was in chiropractic college, which is similar to medical school in many ways, I was always amazed at the number of physiological principles that were not totally understood. It’s important to understand that, in spite of all the fancy instruments, scientific studies and research, healthcare is more art than science. There’s a helpful article about the problems with research entitled “That Study Is Wrong: The Truth About Research”. In actual practice, there is not a great deal of precision. We should certainly strive for greater precision and the ability to duplicate positive results. However, it’s important to understand that it’s not an exact science. That’s why a little inspiration and intuition can be so helpful. I am constantly amazed at the functioning of the human body. (I realize this all applies to animals also, but the human body is what I work with.) It’s not only a highly coordinated system of many thousands of intricate chemical and electrical processes, but when you add in the mind, the spirit, the electromagnetic fields and so forth, it’s totally astounding! (And to think that all of that came about by accidents of nature! [yeah, right]) I’ve seen lots of people who talk about their body as if it were some old piece of machinery held together by bubble gum and baling wire and that anything they can do to it would be an improvement. That simply is not true. I have great respect for the body. I rely on treatment methods that work in conjunction with the wisdom of the body, rather than fighting against it. There are many drugs (pharmaceuticals) out there that are necessary. However, many drugs are designed to “trick” the body, to make it think that internal conditions are different than what they really are so that we can get it to provide a desired physiological response. The problem is that the body is far smarter than the doctor, not the other way around. So you need to be very careful taking that kind of control into your own hands! I firmly believe that our bodies were designed by an all-knowing, loving Creator. Our bodies have great wisdom. For the most part, if we remove interference and give them what they need (physically, chemically, emotionally, etc. ), then all we need to do is get out of the way and let them function as they were created to do.